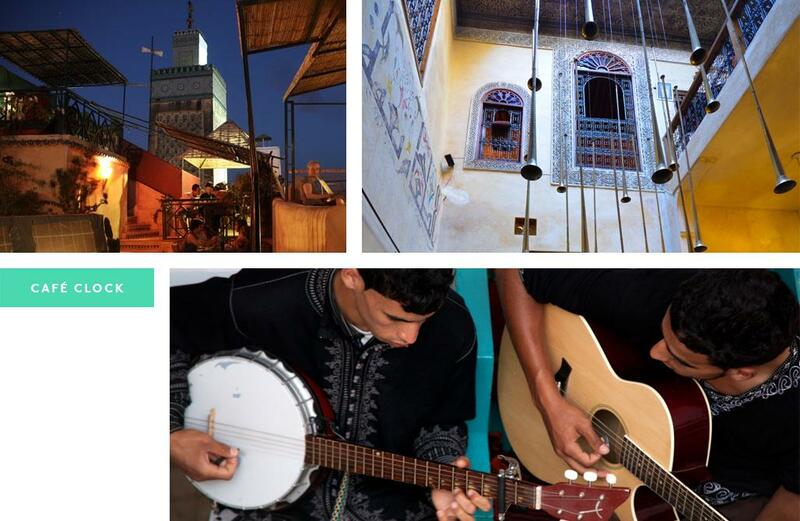 If you’re all about living the high life, Marrakech is the place for you. This bustling metropolis fuses exotic Eastern tradition with Western glamour, and looks its very best from a rooftop. A seemingly endless maze of Souks and Bazaars (pack light FYI), motorbike riders, horse drawn carriages, persistent store owners and even the occasional snake charmer, get ready for the chilled AF version of Marrakech. For anyone looking to rise above the hustle and bustle of the streets, Marrakech rooftops are the oasis you’ve been looking for. Here are 5 rooftops you have to visit on your next trip to Marrakech. 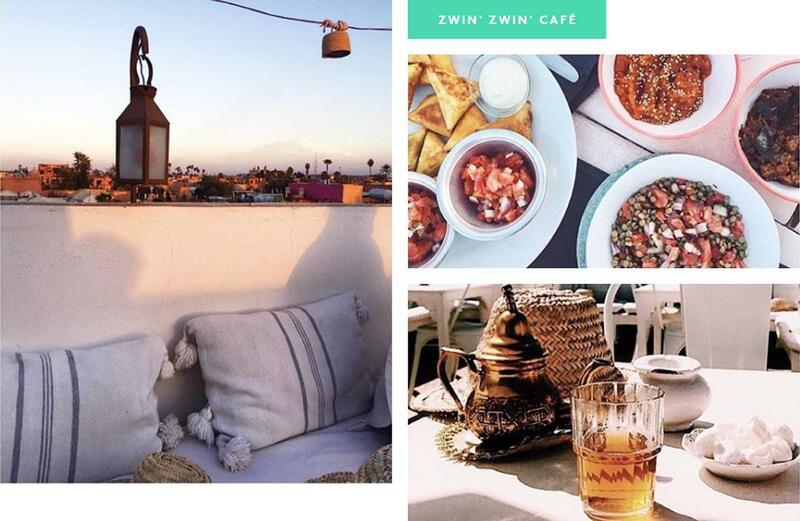 Located just a few minutes’ walk from Jamaa El-Fna’s market square and the large Souks, you’d be forgiven for walking straight past the small door with bright blue steps that is the entrance to Zwin Zwin Café. Stop to take a look and you’ll find a gorgeous boutique and restaurant with rooftop views that rival some of the best hotels in the area. The traditional menu is simple, wholesome and delicious, and the wait staff are superb. Hot tip—make sure you arrive just before sunset and watch the sun melt over the palm trees as you listen to the call to prayer from the surrounding Media Mosques. The brightly coloured Clock Café is a hub of activity. From walls covered in street art and framed local artist works, to calligraphy classes, the hands-on cooking school and weekly performances—there’s always something exciting to do at The Clock. With one terrace already open and their top roof area due to open in early 2018, we recommend enjoying their signature dish, the Camel Burger whilst you wait for the evening’s entertainment to start. Hot tip—Don’t miss Houariyat nights, where everyone (that inclues you) gets up and busts a move to some seriously good indigenous drums and singing. 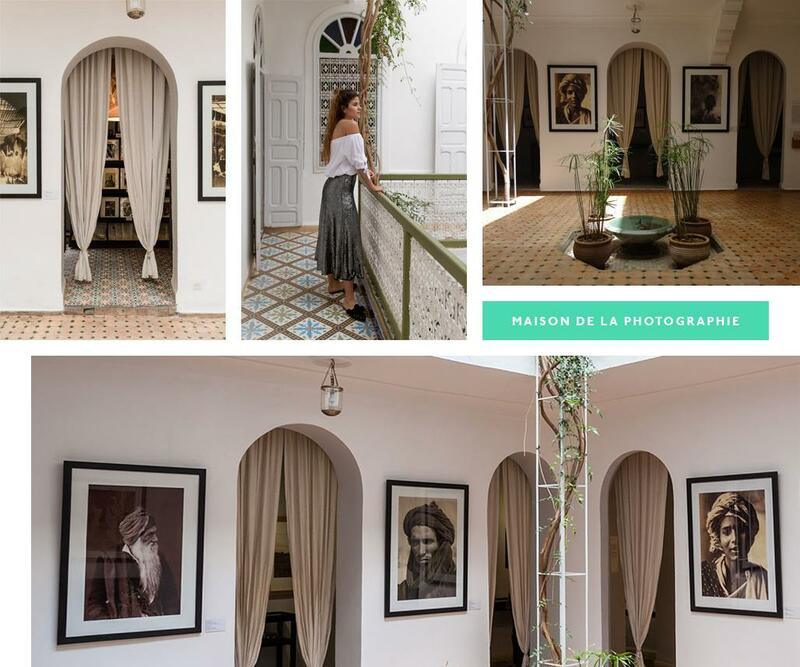 The Maison de la Photographie is a photographic museum located in a historical Riad in the heart of Marrakech’s Souk District. With a changing exhibition showing some of the earliest archival photographs of Morocco, the Museum is open every day and is a must visit. After you’ve soaked in 3 storeys of incredible photographic and videography installations, head to the rooftop for a glass of sweet mint tea and breath taking panoramic views of the Souks below. Hot tip—check ‘prayer times’ to enhance the experience with an atmospheric call to prayer when you’re on the roof. With the brand-new Musee Yves Saint Laurent Marrakech named as one of the must-see museums of the world in 2018, you’re guaranteed to be battling long lines and huge crowds. After you’ve snaked your way around the Museum and adjoining Gardens, take a short walk away from the chaos to Kechmara’s rooftop and unwind with Marrakech’s beautiful people. The stylish venue has a modern vibe and an internationally designed menu which goes perfectly with a cold glass of champagne or beer. Hot tip—The vegan burger is a winner, and for just 15dh ($2) you can add layers of avocado, or even bacon (making it not so vegan!). 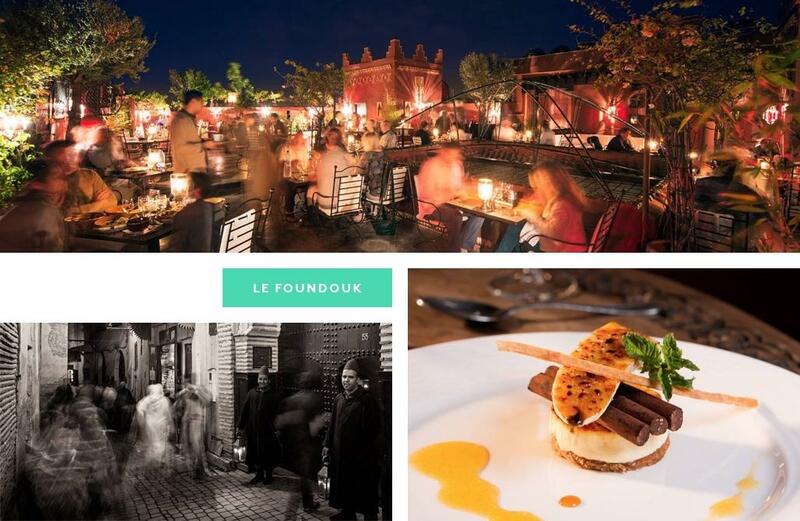 If you’ve had a hard day bargaining at the Souks and need a bit of glam to bring you back to life, head over to Restaurant le Foundouk. Offering the full Arabian Nights experience, the historic building is lavishly decorated with rich fabrics, lush lounges and OTT gold accents, whilst the candle lit open-air rooftop overlooks one of Marrakech’s oldest neighbourhoods, Kaat Bennahid. With both a traditional Moroccan and international menu, this is the pick-me-up venue you need when it’s time to treat yourself. Hot tip—The rooftop dining area is incredibly popular. 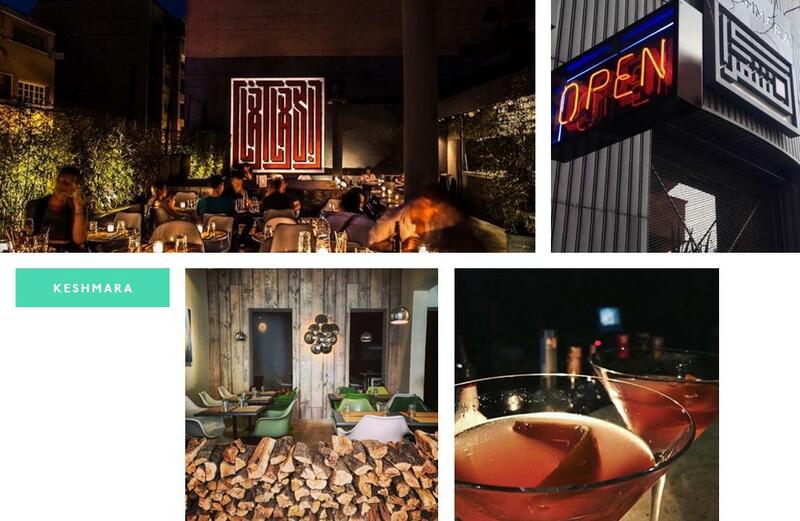 Make a reservation before you travel! Head here for the best burgers in NYC. From reality TV shows and performing at international food festivals (once with Rick Stein!) and reviewing restaurants, it is safe to say Renae has her fingers in many pies (not literally guys, that’s unhygienic). A veteran vegetarian and Sydney girl at heart, she’s currently living abroad, instagramming her way through the Northern Hemisphere's cuisines, dish by delicious dish #toughgig.